A desperate battle is being fought out in the limitless and unknown dimensions of space which have been contaminated and corrupted by an evil power. The evil power is the Bydo Empire, which is determined to subjugate the world. It is inhabited by weird creatures, whose very sight inspires fear. But Mankind is fighting back, and sends you into battle in an incredibly sophisticated plane, the R-9 fighter. 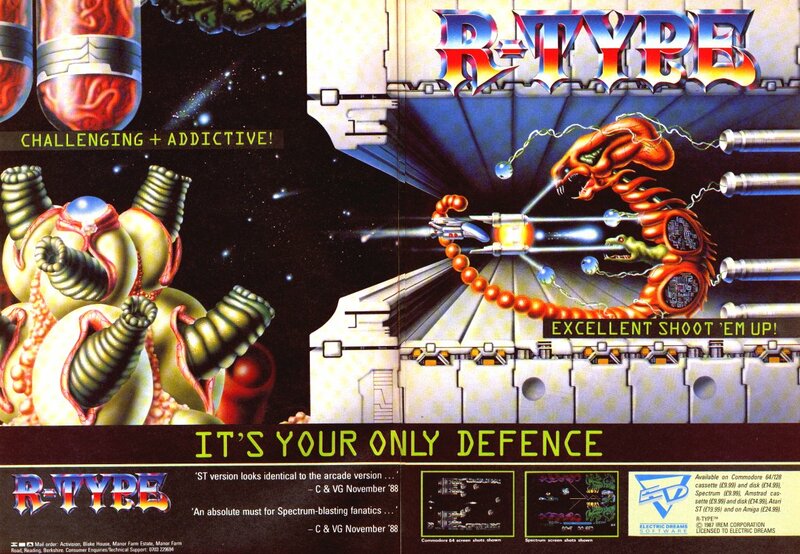 Behind the control panel of this fantastic fighting machine, you are Mankind�s only defence against the enemy. 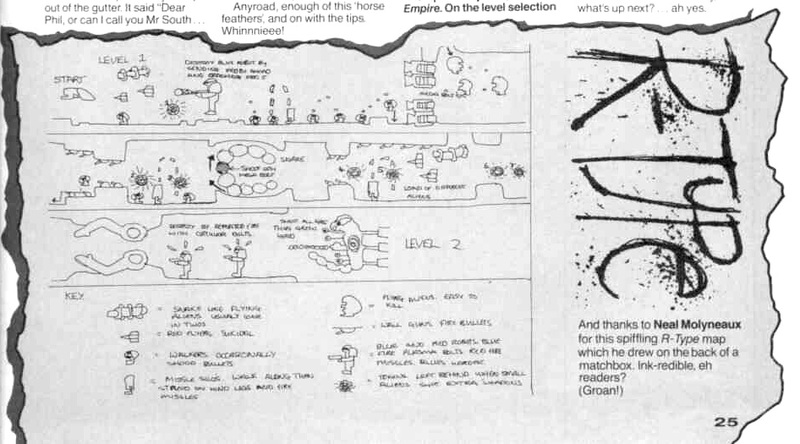 ZX Spectrum, Spectrum +, Spectrum 48K, Spectrum 128K, Spectrum +2. Type LOAD"" and then hit the ENTER key. 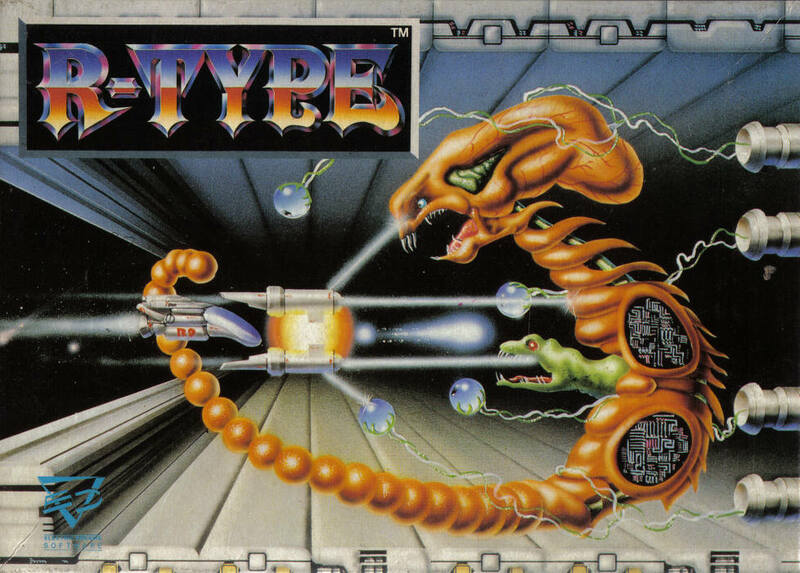 R-Type is a multi-load game. 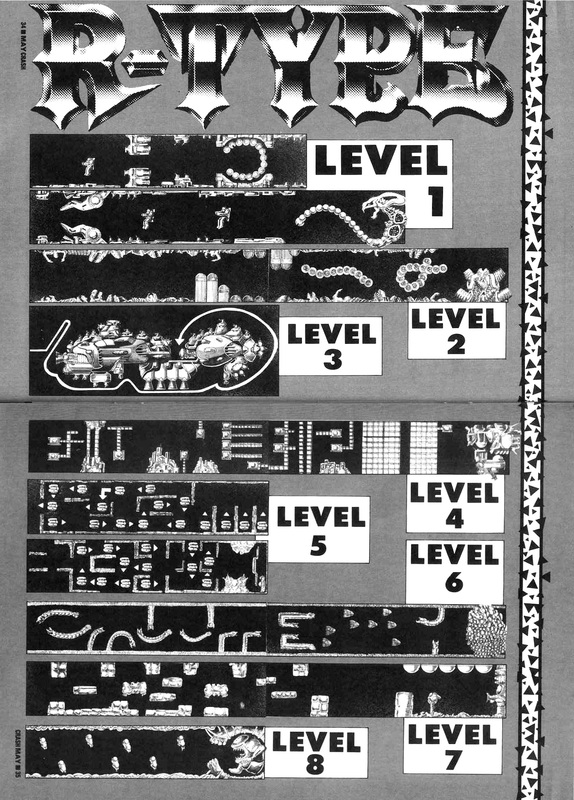 Each level will be loaded as you complete the previous one. 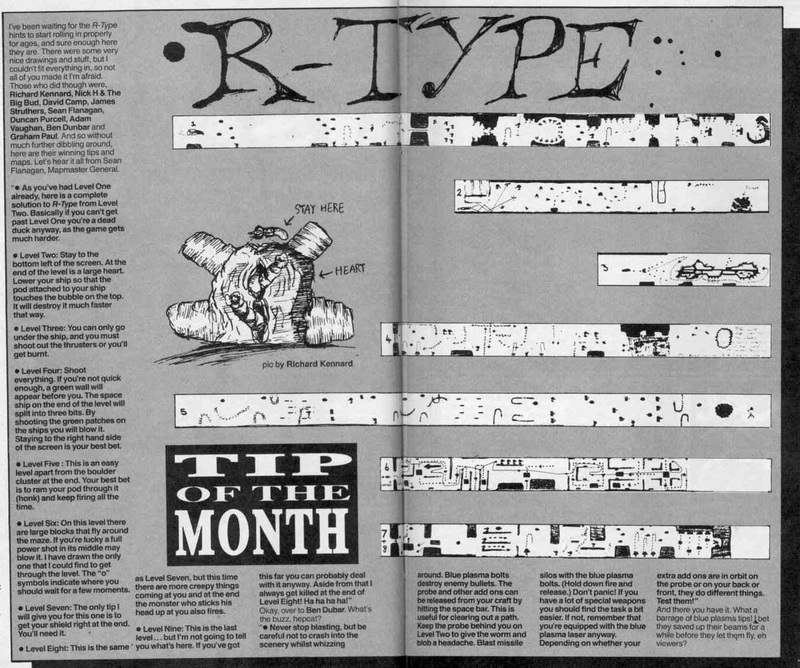 This means that to enjoy continuous play you MUST keep your R-Type cassette in your data cassette player. The first jewel collected also releases a special weapon, the Force, which can be attached to the front or rear of the F9 fighter, sent ahead to clear a path, or behind as a rearguard. The Force is equipped with its own lasers. A key will be used to release this weapon, whether keyboard or joystick, control has been selected. The game may be paused by pressing CAPSHIFT and 1 simultaneously, and restarted by pressing CAPSHIFT and 2. When joystick control is selected the SPACE bar is used to detach the Force.